Timed Text Markup Language (TTML) is a standard for XML captions developed by the World Wide Web Consortium (W3C) in order to unify the increasingly divergent set of existing caption formats. It was designed to incorporate all functionality of existing formats, and therefore, become the standard interchange format between applications. It is the base standard for other XML-based caption formats as well. For a more detailed overview of XML-based captions, including the history of how the various standards were formed, read our History of XML Captions page. TTML is growing in popularity for use with web-based applications, including Adobe Flash, Premiere Pro, and Microsoft Silverlight. It is also widely supported among video hosting and streaming services, such as YouTube, Netflix, and Amazon Video. Most video platforms such as Brightcove, Ooyala, and Kaltura (MediaSpace) also support TTML. TTML files can have the file extension (.ttml) or (.xml). The outermost element is the Timed Text, or <tt> element. The other elements are nested between the <tt> and </tt> tags, which mark the beginning and end of the <tt> element. The <head> element is optional. It contains information about styles, layouts, and document metadata. The <body> element contains the actual subtitles/captions. Each of these elements is discussed in more detail below. The xml:lang attribute sets the default document language to English. The xlmns attribute defines the default namespace for the document, and the xlmns:tts attribute allows us to use the prefix “tts:” as an alias to “http://www.w3.org/ns/ttml#styling” namespace. The <head> element specifies styles, regions, and metadata. Styles are used to indicate the desired look and feel of subtitles/captions. Regions define the size and location of the caption box. Metadata provides information about the document that might be used by editing, processing, or rendering tools. The following example <head> element shows all three sub-elements. The <styling> element specifies that any subtitle marked with the style=”style1″ attribute will be shown in blue. The <region> element specifies that any subtitle marked with the region=”region1″ attribute will be shown in the bottom 20% of the screen with a 20% margin on the left and right. The <body> element contains the actual subtitles/captions. Each subtitle is wrapped in a <p> element. Each <p> element has a “begin” and “end” attribute specifying the start and end time for the subtitle to be shown on the screen as well as the text to be shown. Other attributes may be specified, the most common being style and region. The <div> element can be used to group <p> elements that all share some common attribute, such as language, region, or font style. The following example shows a complete <body> element illustrating the use of styles, regions, and a <div> container. There are four subtitles grouped inside of a <div> element, which specifies the language as English. The first and third subtitle will appear on the left (in the “r1Left” region), shown in style “s1”, whereas the second and fourth subtitle will appear on the right (in the “r2Right” region), shown in style “s2”. How <span tts:fontStyle="italic">I wonder</span> where you're at! The <br/> following the word “bat!” forces a line break to occur at that point, rather than allow the caption box to fill to the edges. The <span> tag begins inline styling in italics, and the </span> ends the inline styling. Note that each segment is zero-padded to two digits. In the first example, seconds are expressed as fractional decimal. The example time of “00:07:15.25” represents 7 minutes, 15 seconds, and 250 milliseconds from the beginning of the video. In the second example, frames are used instead of fractional seconds. The example time of “00:07:15:06” represents the 6th frame after 7 minutes and 15 seconds have passed. Offset-time format is expressed as a single fractional decimal number followed by unit indicator (aka “metric”). The unit indicator can be one of the following: “h” (hours), “m” (minutes), “s” (seconds), “ms” (milliseconds), “f” (frames), “t” (ticks). The most common unit indicator would be seconds. For example the clock time of “00:07:15.25” expressed in offset-time would be “432.25s”. Each of the above features is discussed in more detail below. Traditionally, the location in which captions/subtitles were displayed was left up to the device or software rendering them, and they were generally displayed at the bottom of the screen. However, as technology and capabilities evolved, it became possible to specify the location of subtitles on a case-by-case basis. This is useful to avoid the scenario where subtitles are written on top of text at the bottom of the screen that was part of the video. Positioning can also be used to place captions near the corresponding speaker, so that hard of hearing viewers can identify who is speaking. 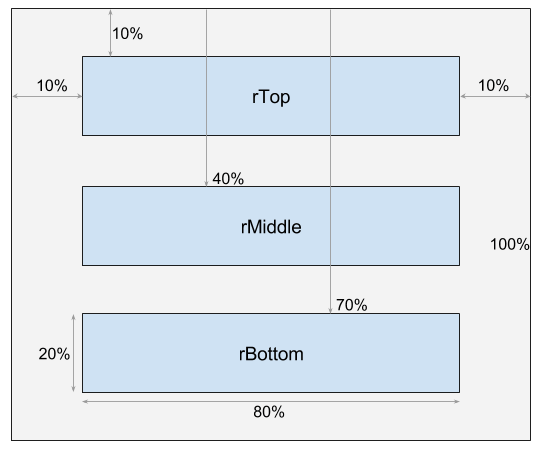 In the above example, the tts:origin attributes are expressed in percentages (x% y%) relative to the top left corner (the origin), while tts:extent attributes are percentages (width% height%) relative to the overall width and height of the video display. TTML includes the capability to animate subtitles. This is accomplished by specifying discrete changes to one or more style parameter, applied at a particular time interval over a finite duration. An example of how this feature could be used is to color the words of karaoke captions in sync with the music to show which words should be sung at which times. In the above example, the font color changes from red, to white, to blue over a nine-second period (three seconds on each color), and then repeats that pattern continuously. In the above example, all captions in the body will inherit the rFade region. This will cause them to fade in (from transparent to fully opaque) over a one-second interval, remain opaque for five seconds, and then fade out over a one-second interval. Out-of-line animation is accomplished by defining an <animation> element in the header and then referencing its xml:id from an animate attribute on the element to be animated. This allows one type of animation to be defined once, and used multiple times. In the above example, the “aPulsate” animation is defined in the header and then referenced as an attribute of the body. All captions will then continuously fade in and out. Below are some examples of how the <metadata> element can be used with predefined fields. vanilla ice cream. with whip cream. It is possible to force sequential display of captions even if the timing overlaps. This can be done by specifying the timeContainer=seq attribute in the parent <div>. If the timeContainer attribute is left out, its value defaults to “par” (parallel), and simultaneous captions are allowed. The following video shows an example of what you would get if you ordered Speechpad’s Standard Captions. After you begin playing the video, click the “CC” on the video player to turn the captions on. The text box below the video shows you the TTML file for those same captions. TTML is just one of many formats you can download once the captions have been created. You could then use the TTML file to allow various players and video hosting services to present captions with your video (see compatibility list below). TTML captions are available with either of Speechpad’s captioning services: Standard Captions or Premium Captions. If your project requires a specialized version of TTML captions or any other caption format, please contact us, and we’d be happy to assist you.